The Indiana State University School of Music will welcome pianist Nicholas Phillips as part of the Visiting Artist Series at 7:30 p.m. Friday, Feb. 22 in the Landini Center for Performing and Fine Arts, Recital Hall. Described by the New York Times as an "able and persuasive advocate" of new music, Phillips maintains an active schedule as a soloist and collaborative artist. Recent performances include solo recitals in Vermont, Minnesota, Kentucky, Iowa, Wisconsin, Illinois, Ohio, Missouri, Kansas, and Texas, and an invitation to play at the Croatian Embassy in Washington, D.C. In July 2011 he gave a recital in South Korea sponsored by the U.S. Embassy. Phillips has given lecture-recitals and presentations at conferences in the U.S., Croatia, England, and South Korea. He is the author of "Mendelssohn's Songs without Words Revisited: Culture, Gender, Literature, and the Role of Domestic Piano Music in Victorian England," published by VDM Verlag. In 2011 he released two CDs on Albany Records; Portals and Passages, which features the piano music of American composer Ethan Wickman (b.1973), and Boris Papandopulo: Piano Music. His current project, American Vernacular, will feature commissioned works written for him by 13 American composers. A native Hoosier with family still living in Terre Haute, Phillips began formal piano lessons in the preparatory program at Indiana University at the age of 10. Phillips holds degrees from the University of Missouri-Kansas City Conservatory of Music, Indiana University, and the University of Nebraska-Lincoln. 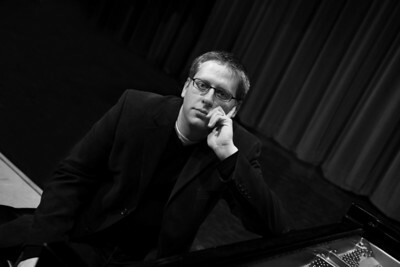 He is currently assistant professor of music at the University of Wisconsin-Eau Claire. The program for the evening will feature works by Ludwig van Beethoven, Felix Mendelssohn, Ethan Wickman, and Mark Olivieri. Phillips, a native Hoosier, will perform at 7:30 p.m. Feb. 22 in the Landini Center for Performing and Fine Arts, Recital Hall.